The intramural research programme within the National Institutes of Health (NIH) in Bethesda, Maryland lives by its byline: “Our research changes lives.” Steven Rosenberg (seen right, © NIH) has spent the past four decades at the National Cancer Institute (NCI), a division of the NIH, where as chief of surgery he has been a pioneer in the field of cancer immunotherapy. Early in his career he witnessed a rare event – the spontaneous regression of a tumour in a young man – and he believed the answer must lie in the patient’s own immune system. 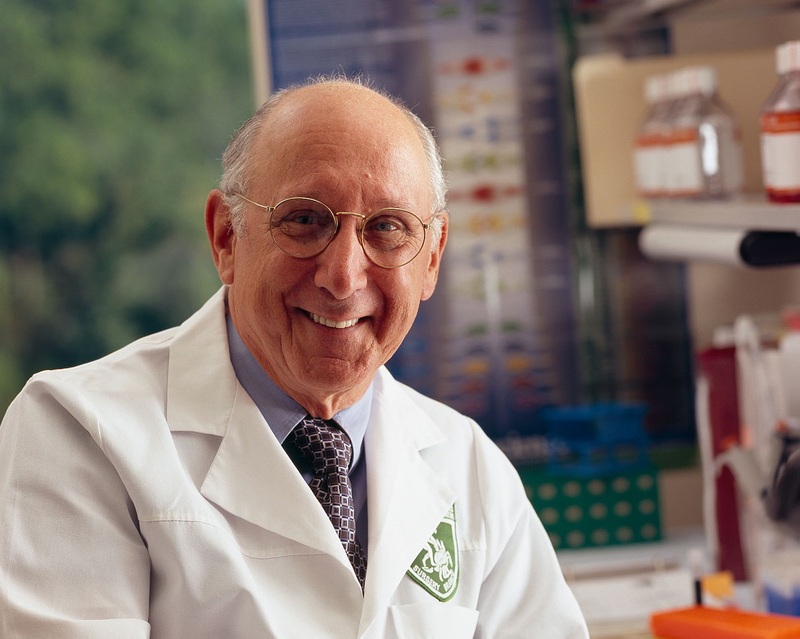 He discovered the cell growth factor interleukin 2 and later identified immune cells called tumour-infiltrating lymphocytes (TILs) that exhibited cancer-fighting properties. Judy Perkins (seen left, © The Guardian), an engineer from Florida, was aged 49 when she was chosen for the new therapeutic regimen at the NCI. Her metastatic breast cancer had been unresponsive to chemotherapy and hormonal treatment and she was given three years to live. The researchers first sequenced DNA and RNA from one of her tumours, as well as normal tissue, to determine mutations that were unique to her cancer. Next they tested different TILs to find those that recognised mutant proteins, and then grew billions of these immune cells in the lab, before injecting these carefully selected immune cells into Perkins’ body. 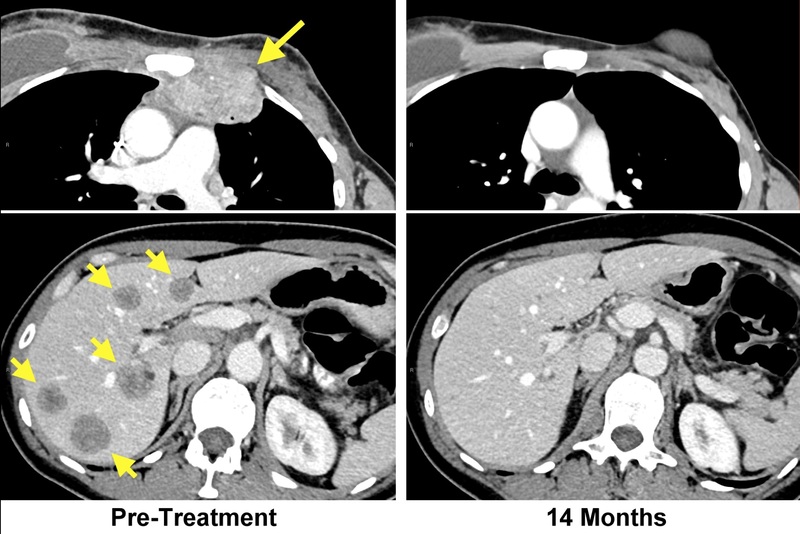 After 14 months, the CT scan images showed that Perkins was cancer free (seen right, © NCI) and has remained so ever since. 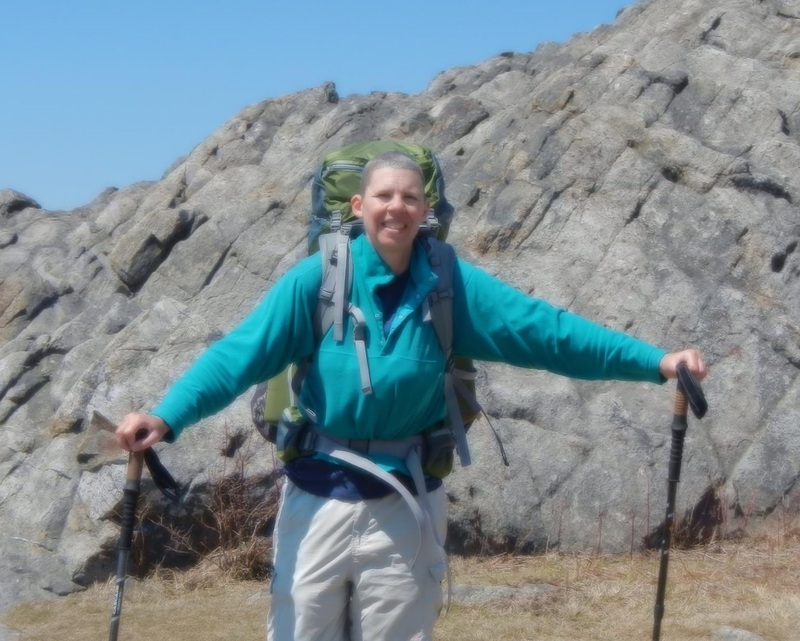 “It feels miraculous, and I am beyond amazed that I have now been free of cancer for two years,” said Perkins. While this is indeed a remarkable result, the effect still needs to be repeated in other patients before giving hope for the treatment of incurable metastatic breast cancer. Large double blind studies will take time! I will forward this to Paula Schneider CEO of Susan G Komen to she what her researchers have to say. I still come back to the importance of early detection. No Metastatic Disease = No treatment ,according to the British Conservative School of Medicine! A fantastic story of hope! I look forward to reading of similar follow-up successes soon?